Home › earn online › Promo Codes › Today's Gifthulk Bonus Code - Updated Daily! Eligibility - Only residents of the United States, Canada, United Kingdom, Ireland, Australia, Germany, and New Zealand are Eligible to sign up for GiftHulk at this time. 1. Look for the WIN HULK COINS category located on the LEFT sidebar. 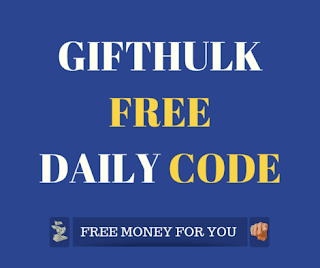 Under Win Hulk Coins you will see GC Bonuses link that you must click on. 2. Now you are on the GC Bonuses page COPY and PASTE this PROMO CODE. Don't worry we have a couple of tips to help make sure you receive your free GiftHulk points. Gifthulk is what is known as a GPT (Get Paid To) reward site. GiftHulk has paid out over $1,000,000 in prizes to their members since they began back in 2011. They have even been featured on CBS. After signing up members can participate in a variety of tasks in exchange for cash. For example, users get paid for watching videos, taking surveys, searching the web, playing games and much more to earn money. Or at least what they call Hulk Coins which can be redeemed for Cash. Users also can exchange their Hulk Coins for Paypal Cash. Or they can redeem their coins for gift cards from popular retailers such as Amazon, Walmart, Macy's, Lowes and many others. Watch Videos Watch random video playlist and earn Hulk Coins. Play Games Guess the Suit is the easiest and has the Lowest Reward. Guess the Rank is not as hard as Guess the Card and rewards more than Guess the Suit. Guess the Card is the hardest and has the Highest Reward. Take surveys Often times Gifthulk will send out emails alerting users to new surveys being available for them to take. Users also can simply log in to their account each day and they should find at least a few surveys to take. Signup offers These are things like paid or free trails. I usually only do free trails unless I am going to be trying the product or service anyway. In which case it's a no brainer to participate. GiftHulk Web Search – Gifthulk pays users to use their search engine for searching the web. Referrals When users refer their friends they both get rewarded. The friend will receive 250 hulk coins as soon as they start earning. The individual that referred their friend will earn a 5% of their friend's earnings. Referring friends also earns users additional attempts at the guess the card game. 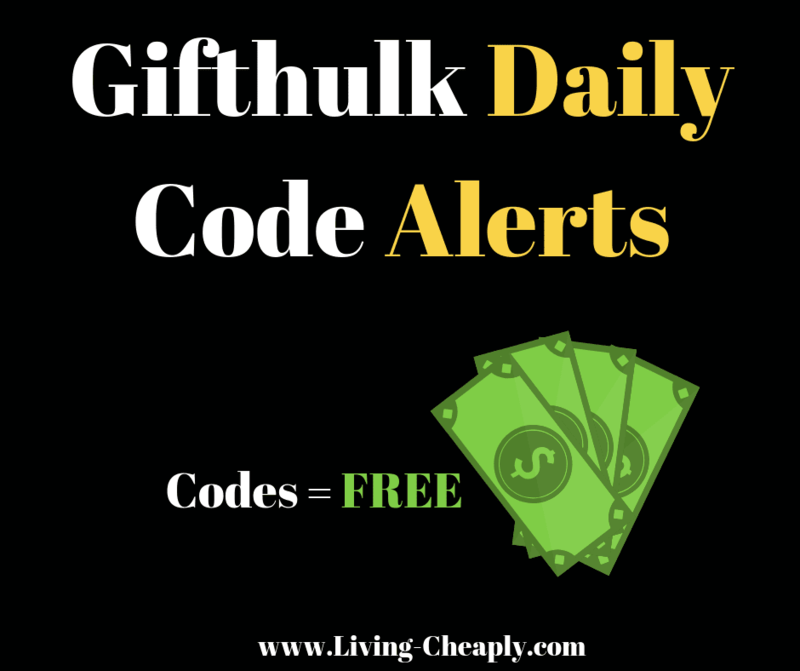 Gifthulk Bonus Codes Every day you will find GiftHulk codes here on this page on Living Cheaply. Enter those codes and be rewarded with Hulk Coins.